The Divi WordPress Theme From Elegant Themes offers a lot of flexibility in creating any type of website using WordPress. The Divi Builder makes it easy to design and edit the pages without using any code. Divi Theme is also evolving each day as new features are being added to it in each version. One of the most requested feature in Divi theme is the contact form builder like contact form 7 plugin. The Divi contact form module is great but its not easy to customize and you are stuck with the form fields it has by default. Until a form Builder is added to Divi, the easiest solution is to use contact form 7 plugin. The default look of a contact form built using the contact form 7 plugin is not very good. To make a form built using contact form 7 to look like Divi contact form module, copy the following code, and paste it in the custom css box in Divi theme options (epanel). 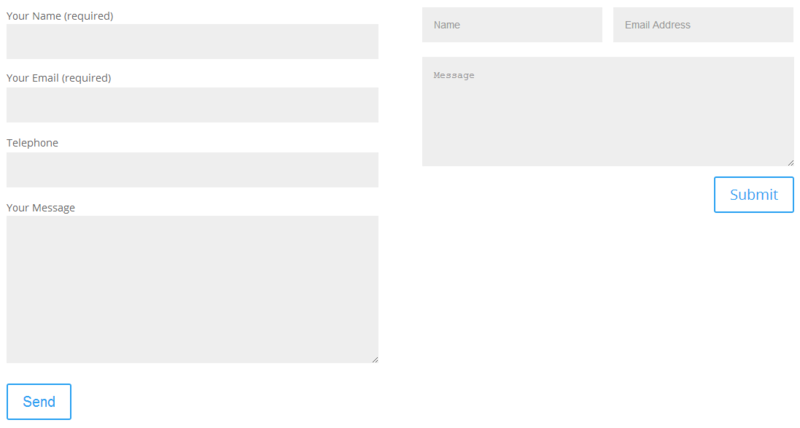 Related: If you are not using some other theme from Elegant Themes, then check how you can style contact form 7 to look exactly like Elegant Themes’ contact page template.